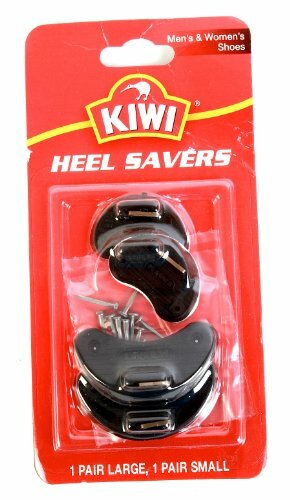 Kiwi Heel Savers feature easy peel and stick application. Extends heel life. Noiseless. Won't mark floors. Package contains two sizes to fit either larger or small heeled shoes. Heel savers that extend heel life. Feature easy peel and stick application that won't mark floors. For men's and women's flat heels. 2 pairs; 1 large and 1 small.